Long Lost Song tells the story of Ricky and Michael as they battle their personal and real demons while the world reaches end times of biblical proportions. One question remains. How do you stop a devil of a song made to break a crossroads deal? Long Lost Song is a modern take on the Faustian “selling one’s soul to the Devil” story. The story starts with the young musician Ricky Jensen, making a deal with the Devil in exchange for musical success. Ricky’s story of the 1930s is woven in and out with other stories from the present day, in which the retired rock musician Michael Decker is pulled from his quiet home in rural Victoria and convinced to travel back into the industry in the USA. Meanwhile, a terrible pandemic has struck in both the US and Australia, spread by one of Ricky Jensen’s old recordings recently uncovered and spread like a virus via the internet and radio. Listening to the original track will kill outright, but watered-down remixes merely mind-control the listener so that the song can be spread further. Soon the whole world will be infected or dead, ready for the Devil’s final showdown. Michael is the only one who can stop the song’s spread, but he is being framed by the enemy as the instigator of the deadly virus, and he has no idea why he is suddenly America’s Most Wanted. 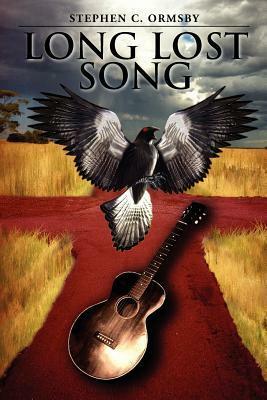 With plenty of unexpected turns, Long Lost Song is a story of the “end times” with a musical twist. There’s plenty of American and Australian music and pop culture references throughout and it’s clear that Stephen Ormsby must have an extensive playlist! The pace stays high through the story – Michael gets more and more terrified the deeper he finds himself, and although the reader knows what’s going on with the song and its viral spread, most of the characters have no idea what’s really happening until right at the end of the story. This creates an air of fear and impending doom throughout – it’s very exciting storytelling and I found it difficult to put the book down. The jumping around between points of view (sometimes several times within a chapter) can get a little overwhelming and hard to keep up with at times, but each section helps to flesh out how the song is affecting people around the world. The final chapter is very exciting and leaves plenty of opportunity for a sequel. Do you like the idea of a fast-paced thriller with a rockin’ twist? Give Long Lost Song a try. 2013 looks to be a busy year with potentially three books coming out. He lives in South Gippsland with his wife, two children and a mad cat named Smudge. 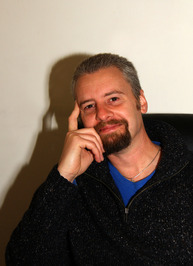 He has travelled extensively, is an avid reader and enjoys listening to a wide range of music. He also plays guitar really badly. I think I need to read this book while listening to “The Devil Went Down to Georgia”! Sounds like they would go hand in hand, don’t you think? Music and the endtimes. That is unique, I must say! Thank you for your review!